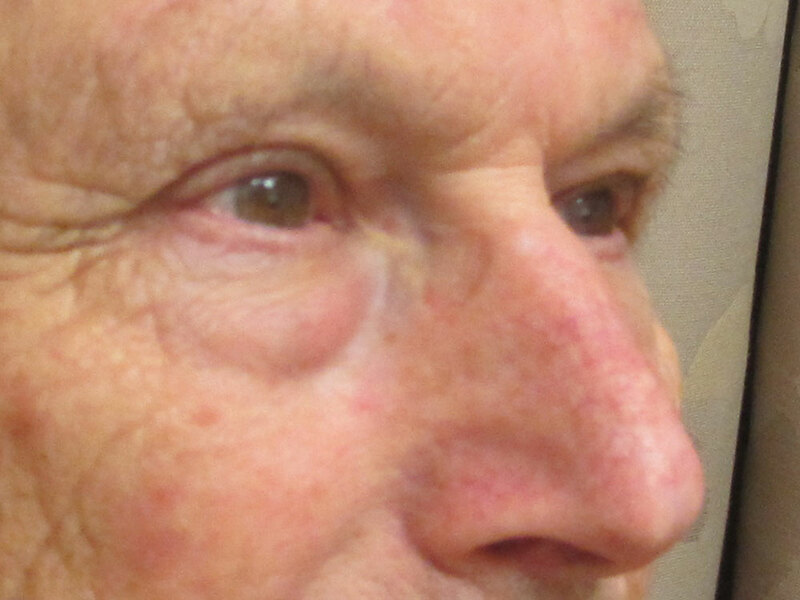 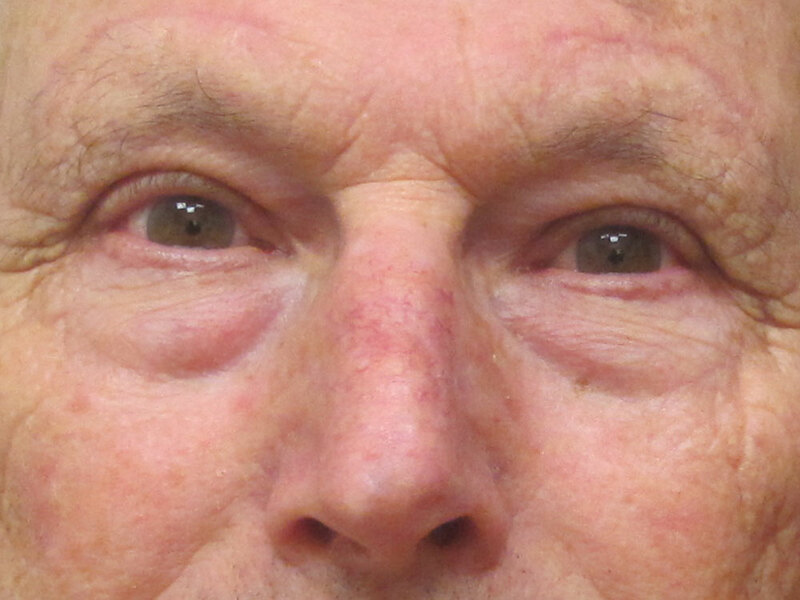 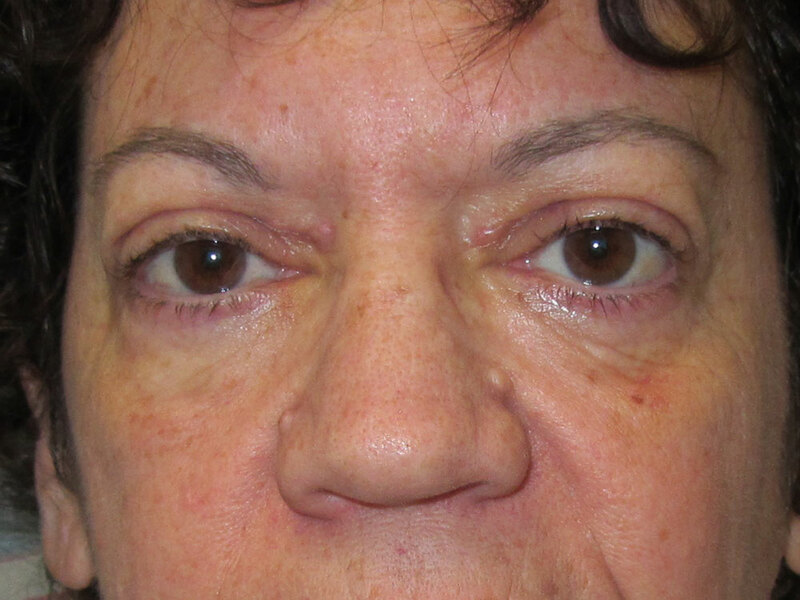 76 yo man 1.5 months after bilateral upper eyelid blepharoplasty and direct brow lift (incision above the eyebrow). 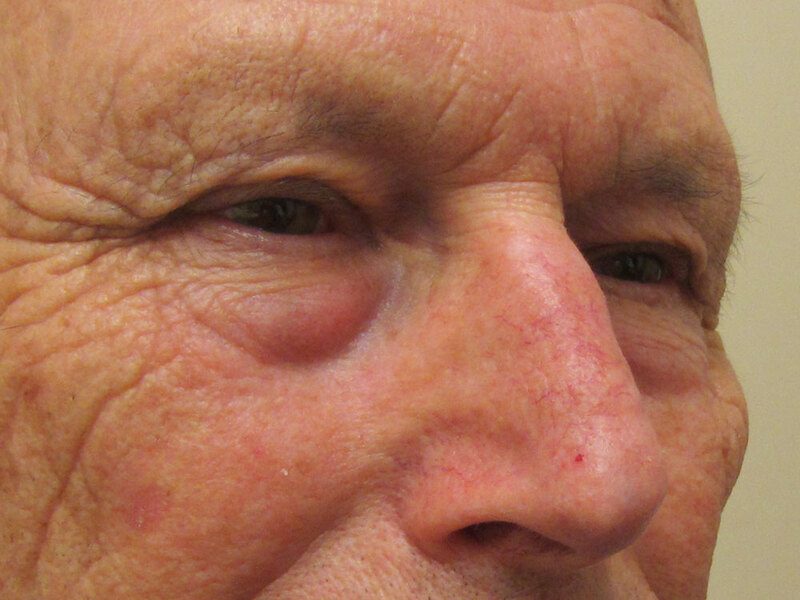 Procedure performed because hanging skin was obstructing his vision. 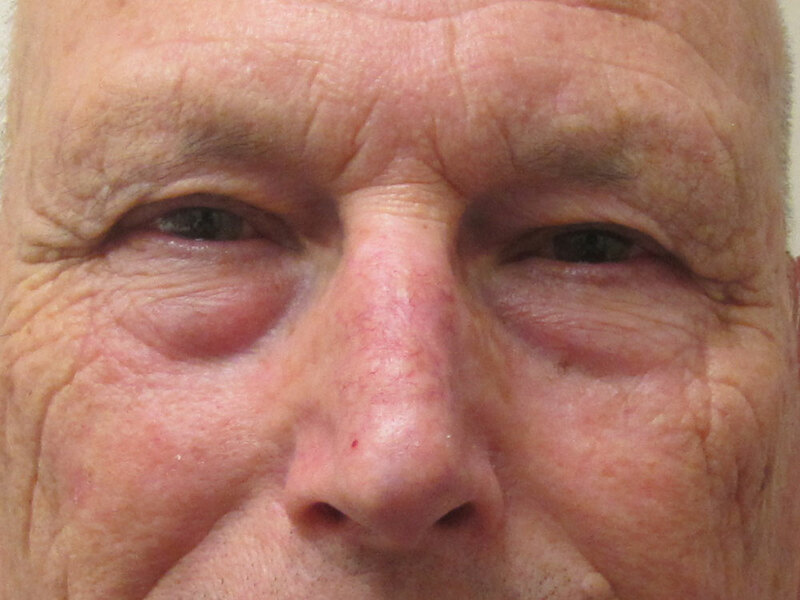 You can see how the brow lift has allowed him to relax his forehead muscles that were previously always active lifting the extra skin out of the eyes. 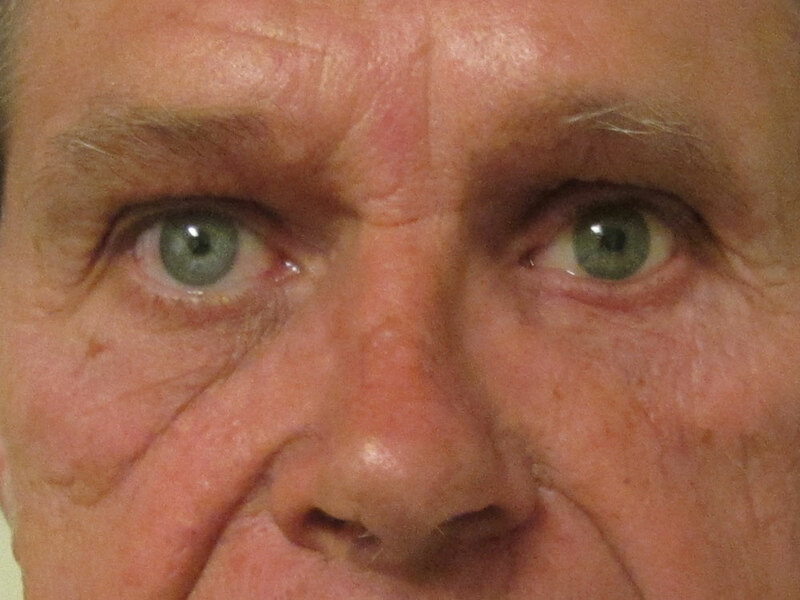 This has allowed him to lose forehead wrinkles as an added bonus. 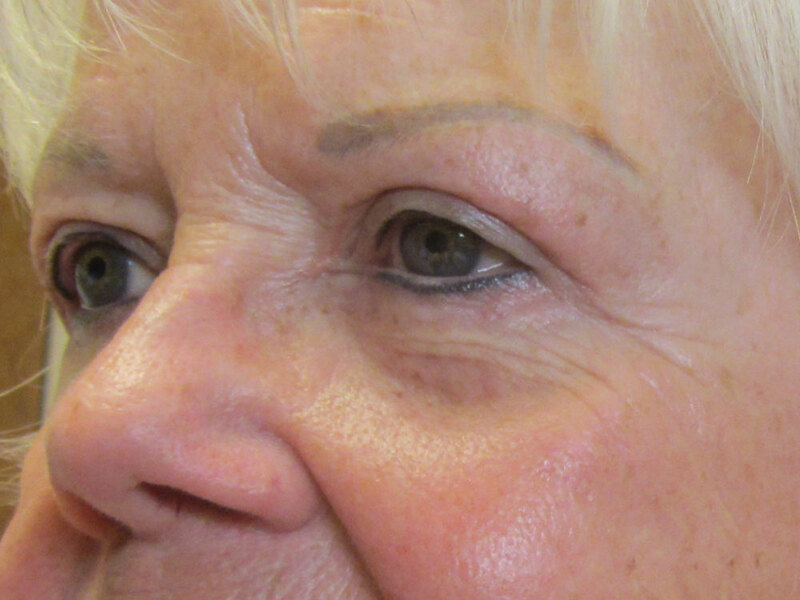 The forehead scars are placed in existing wrinkles and will disappear with time.